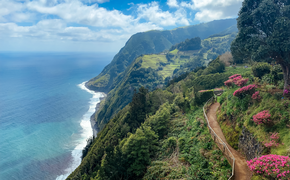 While most destinations boast of high tourism numbers and encourage visitation, a few destinations are being threatened by too many visitors, says a report in Conde Nast Traveler. “Tourism can provide an incredible economic boost, sure, but some locales say it can also be harmful to the environment and negatively impact local populations,” writes Katherine LaGrave. One destination well-known for its attempts to limit visitation is Venice. “Tourism can provide an incredible economic boost, sure, but some locales say it can also be harmful to the environment and negatively impact local populations,” says LaGrave. Santorini, Greece, is also struggling with too many tourists. “Hoping to stem the tide of cruise tourists, which reached 10,000 per day during peak season (May-September) last year, the island will in 2017 begin limiting the number of cruise ship visitors to 8,000 a day,” LaGrave reports. Norway is also facing concerns over an increase in visitors, which worries about the its natural sites. “According to The Local, Norsk Friluftsliv, Norway’s leading hiking and outdoors group, has called for a limit on tourists trekking to popular spots and vantage points including Preikestolen (Pulpit Rock) and Trolltunga (Troll Tongue),” writes LaGrave. Zion National Park says its facilities are overwhelmed with and is considering capping the number of visitors each day. 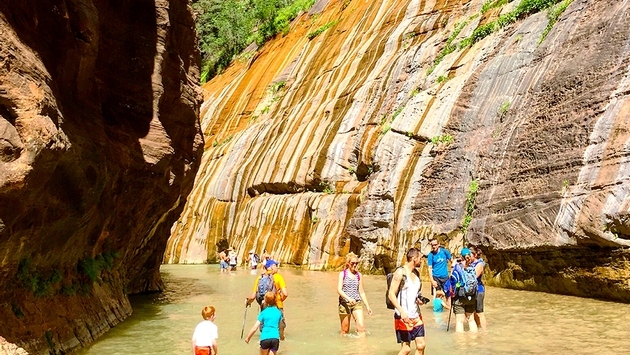 “Inside the park, Zion Canyon has suffered the most in recent years, but Zion-Mount Carmel Highway, the Narrows, and Angels Landing could face new restrictions, too,” says LaGrave. There are several proposals currently on the table to help protect the park. Read on about those and more places that could potentially limit tourism here.